The 2011-’17 Buick Regal is built on the mid-size Epsilon platform. You will see the same suspension setup under the Malibu, Impala and it’s big brother, the LaCrosse. If you get a Regal in your alignment bay, you could be dealing with several new technologies at once. Options and packages on the Regal can be difficult to define by the badging on the trunk. 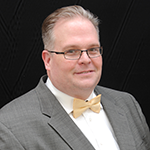 Visual confirmation may be needed and you may need to look up RPO codes. The Regal uses hydraulic power steering that is variable and electric power steering. The Regal needs to have the steering angle sensor recalibrated. For most models, this requires the use of a scan tool. Models with electric power steering will require an extra procedure so the system can learn the end stops of the rack. GM has issued a number of software updates for the electric power steering systems. In some cases, the driver may report a notchy or sticky feeling when the steering is near the center position. These symptoms may have nothing to do with the rack or suspension components — the problem could be the software. 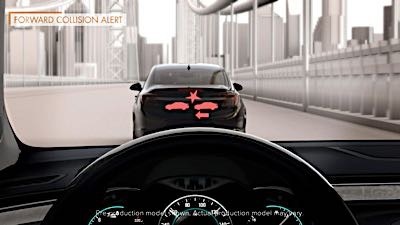 Newer Regals may have forward collision alert systems that warn drivers of frontal collisions. This system uses inputs from the steering angle sensor. If the steering angle is not properly calibrated, the system might not work. If the calibration is off, the system may give false alerts when the vehicle is turning. 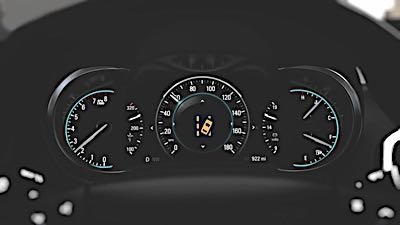 The Regal can also be equipped with a lane departure warning system that uses a camera mounted in front of the rearview mirror. The system gives audible and steering wheel feedback to alert the driver of possible drifting. The steering angle sensor is vital for measuring the driver’s inputs. The standard front suspension on most models is a conventional strut arrangement. Camber can be changed by elongating the lower bolt hole in the strut mount and/or cam bolts. It is possible to alter the camber by 1.75º± by using this method. Before installing the alignment bolts or altering the subframe, look at the cross-caster to see if the problem is isolated to one side or part of a larger problem. Front caster is not adjustable. If the caster exceeds specifications, check for damage to the bushings, control arm or cross member. If the customer is complaining about a popping or creaking noise while cornering, GM has directed dealers in a TSB to add a special lubricant and coating to where the steering rack mounts to the crossmember. Some of the turbocharged models use the special suspension design to minimize torque steer. Some manufacturers have attempted to solve the problem with software in the electric power steering system or even by cutting power when the throttle and steering angles indicate the driver is experiencing torque steer. 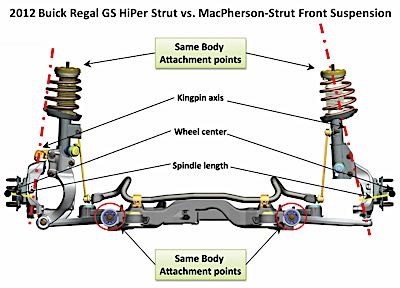 Buick’s solution is the HiPer strut that changes the SIA or “king-pin angle” so the angle to the tire’s centerline is less altered by weight transfer. They accomplish this by placing two ball joints on the end of the strut. The HiPer strut has a built-in camber adjustment by using a cam bolt in the upper bolt hole. The bolt is a torque-to-yield bolt with a special torque angle tightening procedure. Bolts should never be reused. A lot of fasteners on the front suspension are torque-to-yield, including the front subframe bolts. These are designed to stretch. By using the elasticity of the bolts, higher clamping loads are generated. The rear suspension has built-in adjustments for toe and camber. Toe is adjusted with the cam bolt on the upper link. Camber is adjusted with the cam bolt in the lower link. When aligning the Regal or any GM product, the test drive after the alignment is just as important as the angles on the screen of the alignment system. The alignment angles can’t spot tires that pull or worn struts that might be causing a noise under certain conditions. Only a test drive can do this.